The S&P BSE Sensex which hit a record high of 39,270 in the week gone by failed to hold on to the momentum, but closed 0.49 percent higher at 38,862 for the week ended April 5. The Nifty50 too failed to close above the 11,700-mark, but recorded gains of 0.36 percent for the week. Benchmark indices witnessed some profit booking at higher levels, however, the real action was in select stocks that hogged the limelight. In the S&P BSE 500 index as many as 11 stocks rose 10-30 percent which include names like Forbes & Company, SAIL, HSIL, Shankara Building, Tata Motors, Godrej Properties, and The Lakshmi Vilas Bank among others. 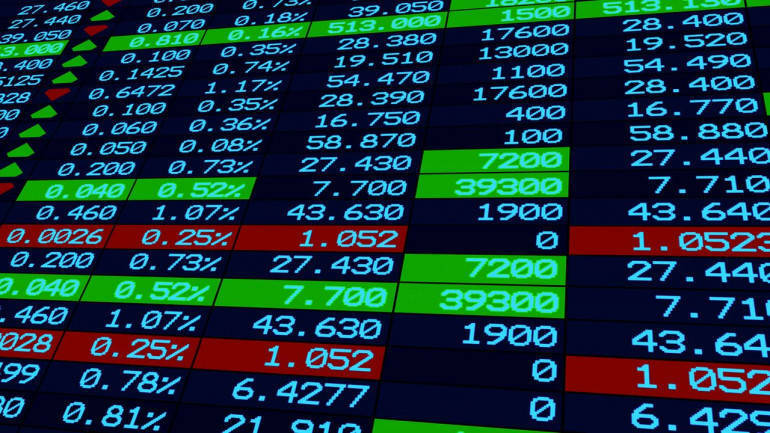 The broader market underperformed benchmark indices as the S&P BSE Smallcap index rose 0.12 percent while the S&P BSE Midcap index gained 0.19 percent in the same period. Experts predict that market action can get skewed towards select stocks as we kick-start the earnings season this week. In terms of benchmark indices, volatility is likely to continue until the elections conclude. “Market sentiment is likely to be governed by upcoming Q4FY19 results as well as an impending schedule of elections. We see the earnings revival which commenced from FY19 to continue in FY20 and be a major driver for markets,” Teena Virmani, VP -PCG Research, Kotak Securities Ltd told Moneycontrol. “RBI has again reduced the repo rate by 25 basis point in line with expectations with a room for a further rate cut post elections, we believe. Globally, developments on US-China trade war and oil prices will also be important to look for,” she added. 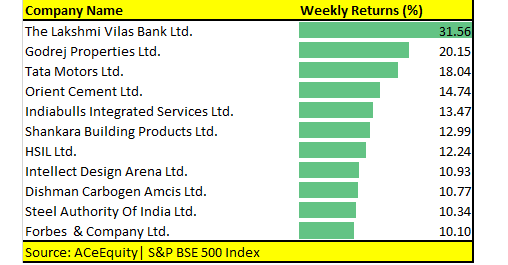 The S&P BSE Sensex might have touched record highs in the first week of April, but only a handful of names in the S&P BSE 500 index witnessed fresh 52-week highs with most names belonging to the mid and smallcap space. As many as 28 stocks in the S&P BSE 500 index touched fresh 52-week highs which include names like ICICI Bank, Titan Company, Atul, HCL Technologies, PI Industries, Varun Beverages, Bajaj Finance, Pidilite Industries, HDFC, Godrej Properties, and Bajaj Finserv among others. But, most of the stocks which hit a fresh 52-week highs witnessed profit taking. 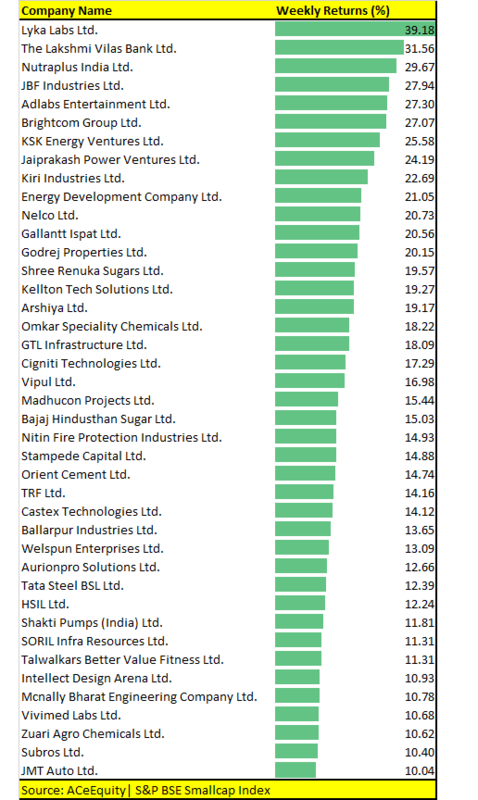 Almost 40 percent of these stocks witnessed selling pressure at higher levels as they closed the week on a negative note including ICICI Bank, UPL, Havells India, Gujarat Fluro, Titan etc. Experts are of the view that the whole market action is focused just around a few stocks or sectors. But, there is a possibility that the broader market could outperform post general elections. “Recent rallies have been in the largecap stocks and limited to the Nifty-50 Index stocks which clearly tells us about the flavour of the rally. Barring Banks, select NBFC’s and Metals nothing has really moved higher to make a new 52-week high,” Aditya Agarwala, Senior Manager, Technical Analysis at YES Securities Ltd told Moneycontrol. “Though some of the Midcap and Smallcap stocks have witnessed fresh buying interest but the Index overall continues to underperform. Moreover, it is seen from past data that post general elections midcap and smallcap stocks and Indices rally and outperform,” he said. Technically, if the Midcap Index trades above 18,500, it can see a sharp upside and if the Smallcap Index trades above 6,800, it can see significant gains in the coming months.